So although I have had the absolutely INCREDIBLE opportunity to bake pastry 24/7 until it is coming out of my ears, eyes, and nose, I have had this lingering itch to cook Italian. And when I say “cook,” I mean produce food that isn’t primarily made of butter, sugar, and cream.Something that can be eaten as a main meal and nourish your body; something that’s principal function is not to coat your body in a soft “plush” some refer to as fat. 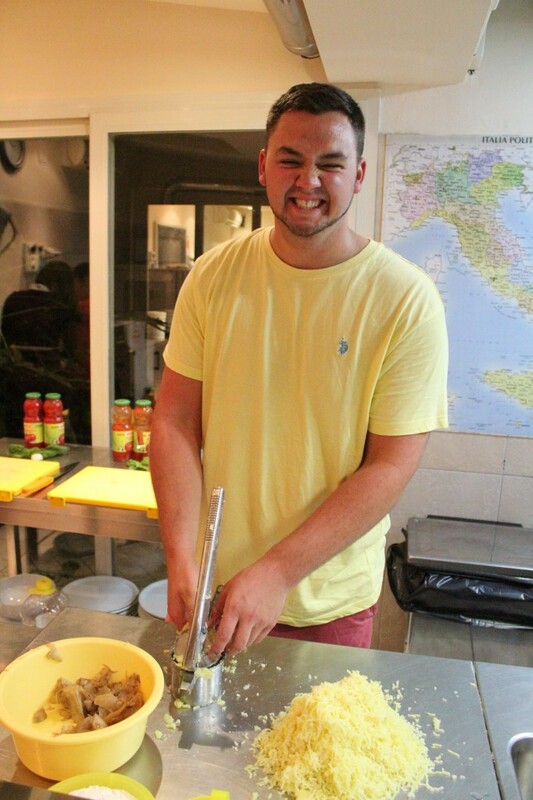 Getting away from the subject matter, I was blessed with the opportunity to attend a pasta workshop last Thursday night and even MORE blessed to share the experience with Jared. So, we were kindly ushered into a room and put to work. First we made gnocchi. Jared and I were put in charge of the mashing and combining stage. So, we mashed and combined. Jared’s masher was defective, so I let him use mine. Because…I’m nice sometimes. 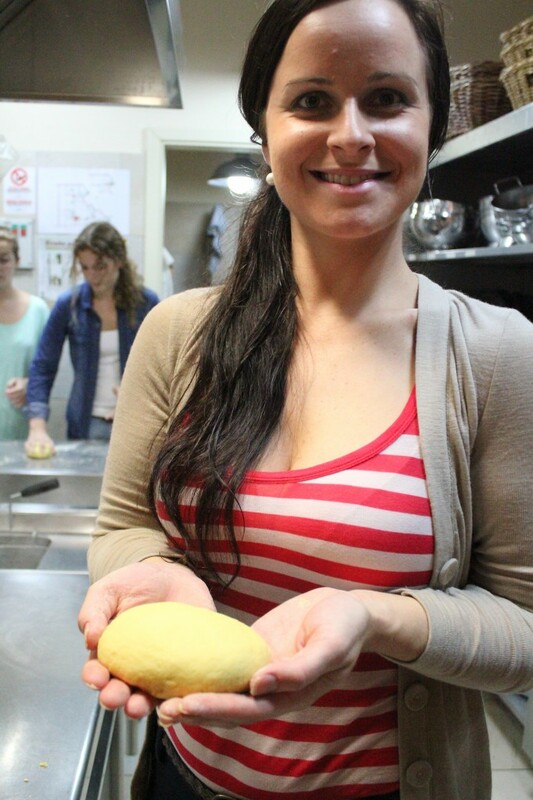 Jessica (above) was placed in lasagna group and (as you can see) combined semolina flour and egg to produce a lovely pasta dough. 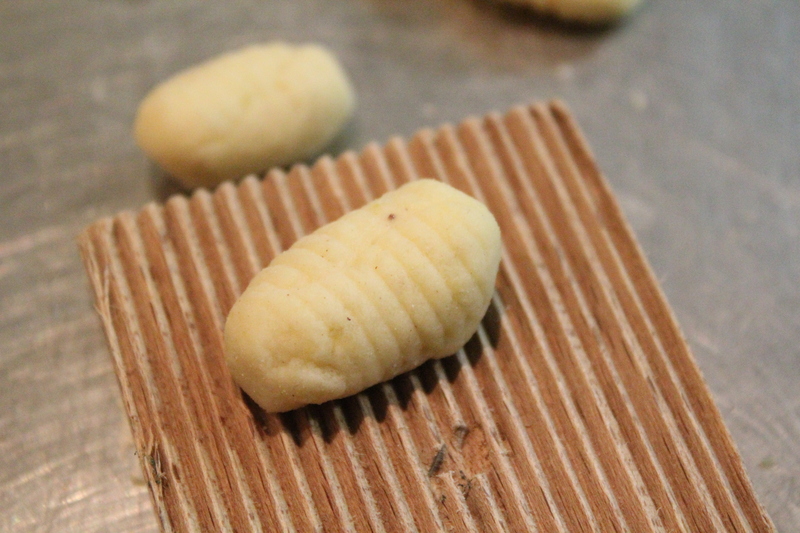 Back to our gnocchi. 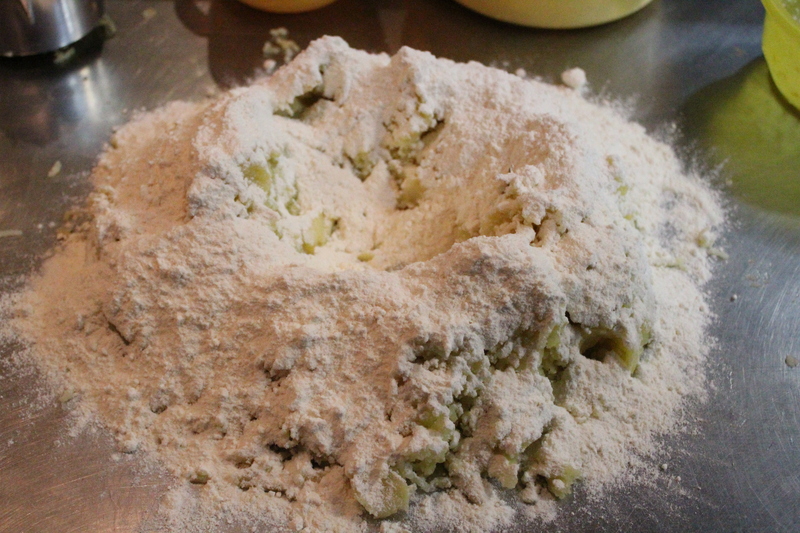 After mashing the potatoes, we made a “volcano” and sprinkled the flour around. 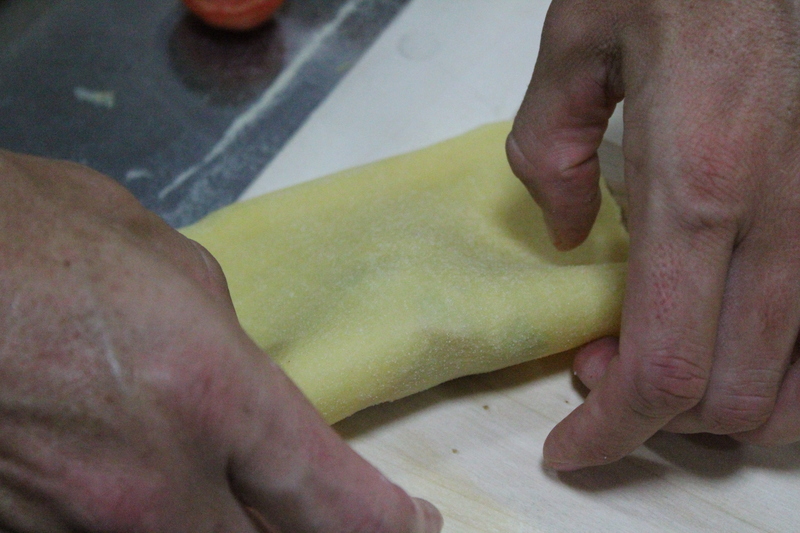 We then added the egg yolk in the middle and kneaded the gnocchi dough until combined. That was my dough. I’m pretty proud, you could say. And cut it into little even pieces. 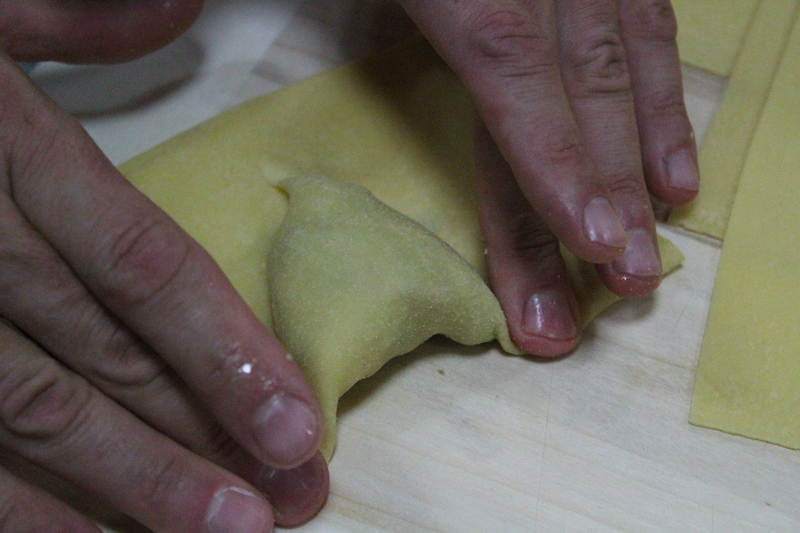 He also showed us how to make the traditional “grooves” in the gnocchi. Then, it was time to make the sauce. 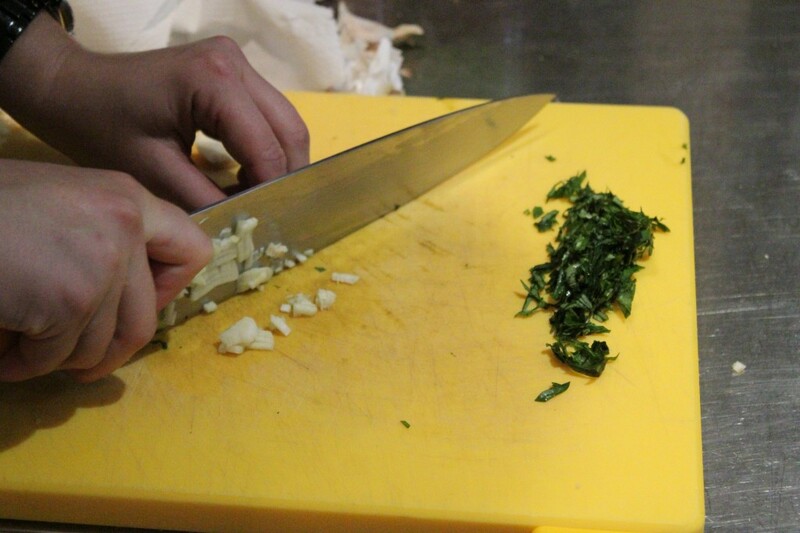 First, fresh basil and garlic was prepared. The garlic was combined with a bit of olive oil and simmered. 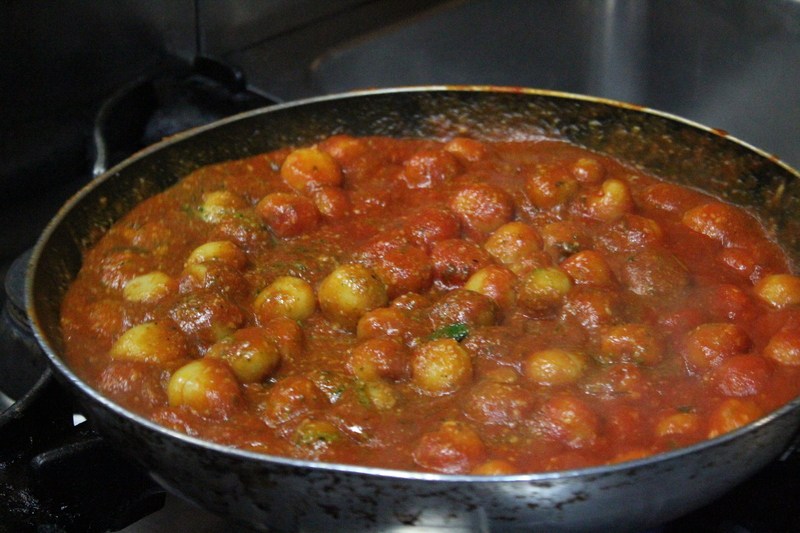 Next, pure tomato puree was added. 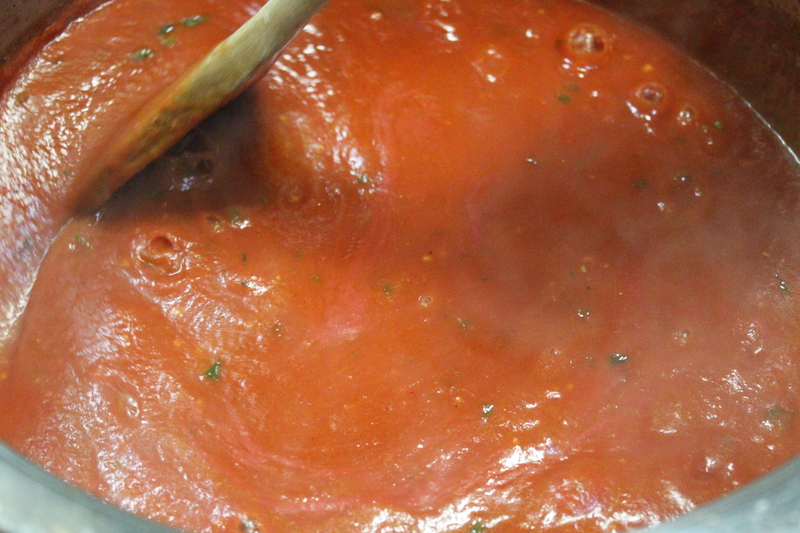 Lastly, a bit of basil was thrown into the deliciously steamy sauce and we let it simmer. 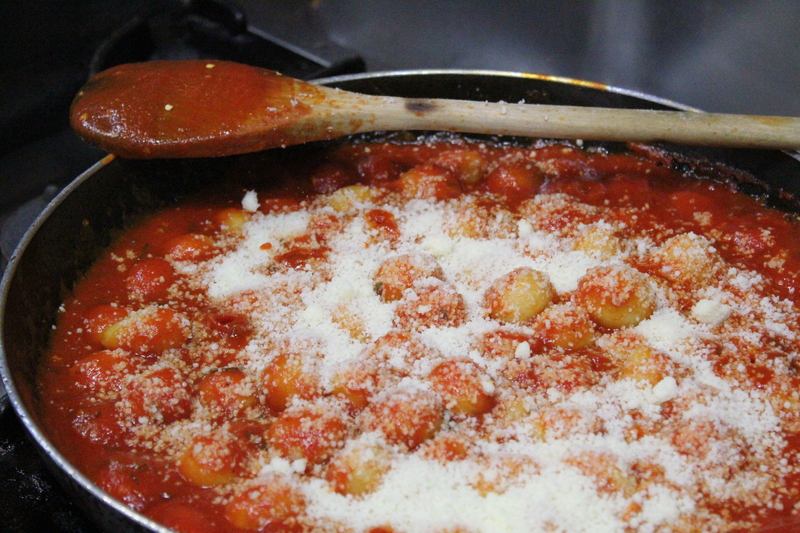 Next, we boiled the gnocchi and added the sauce. For kick, we threw in dried pepper flakes. 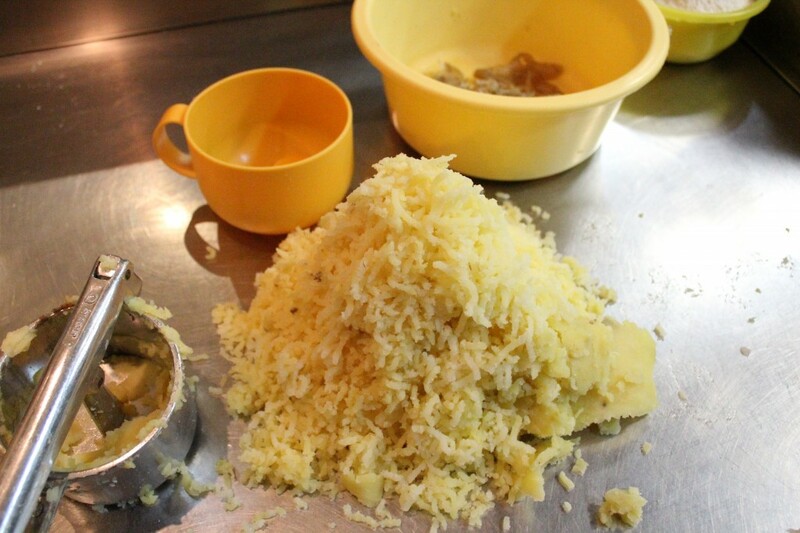 Parmesan cheese for flavor and texture. 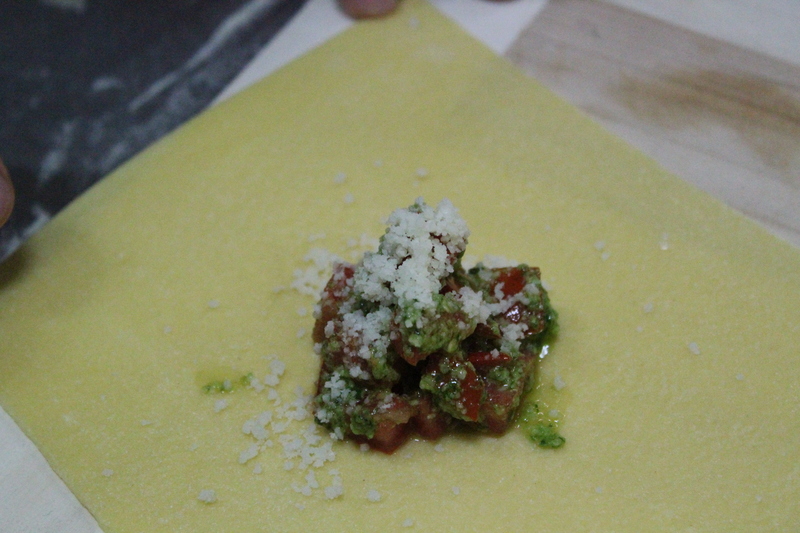 Lastly, some homeade pesto was mixed in to create the ultimate tomato-pesto gnocchi…with a kick. And then we ate it and I was like. And then there was ANOTHER dish. Wash the potatoes and cook with the skin in salted water, then peel and mash them. 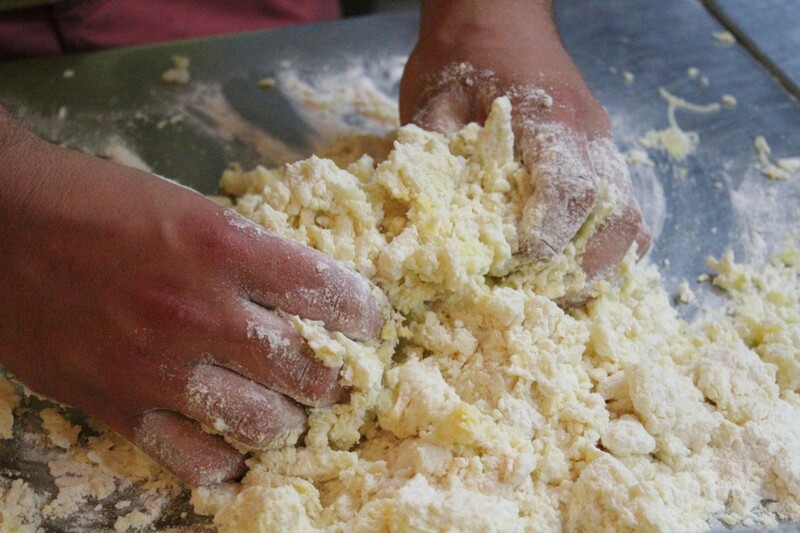 When the potatoes are cold, work on a table and add the flour, nutmeg, salt, and egg yolks. 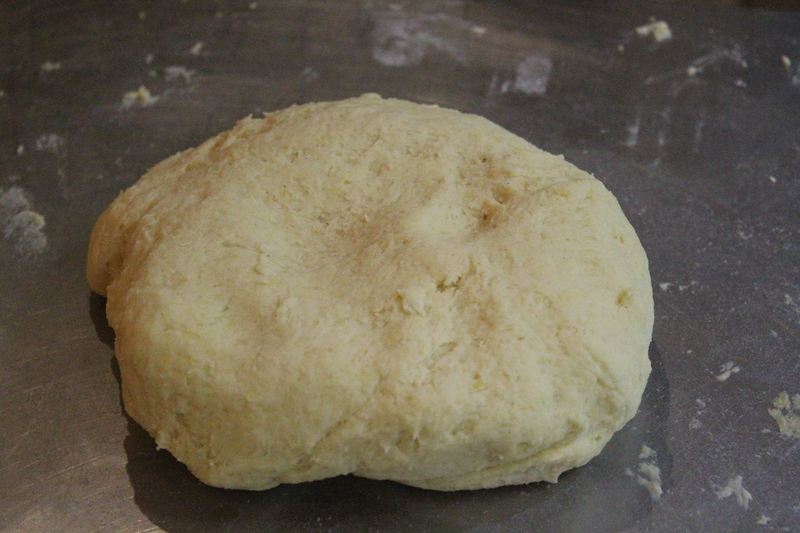 Form a type of dough without kneading it too much. 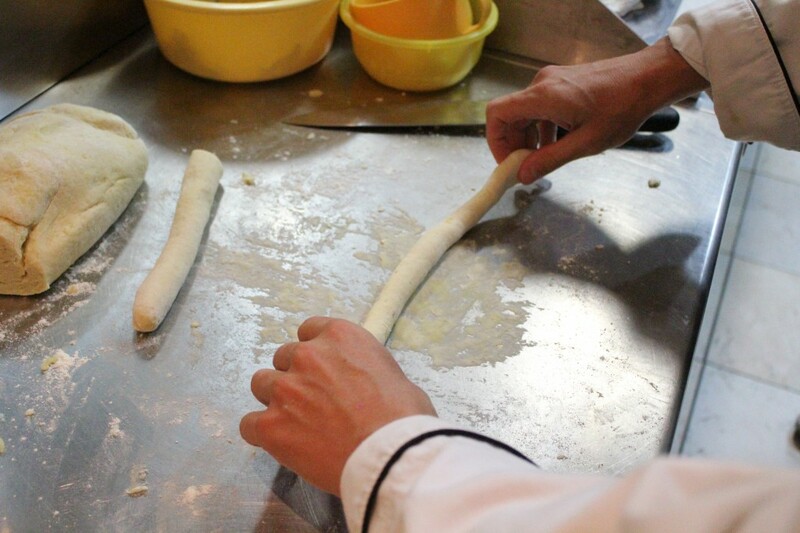 Roll into pieces and cut the pasta into small pieces. 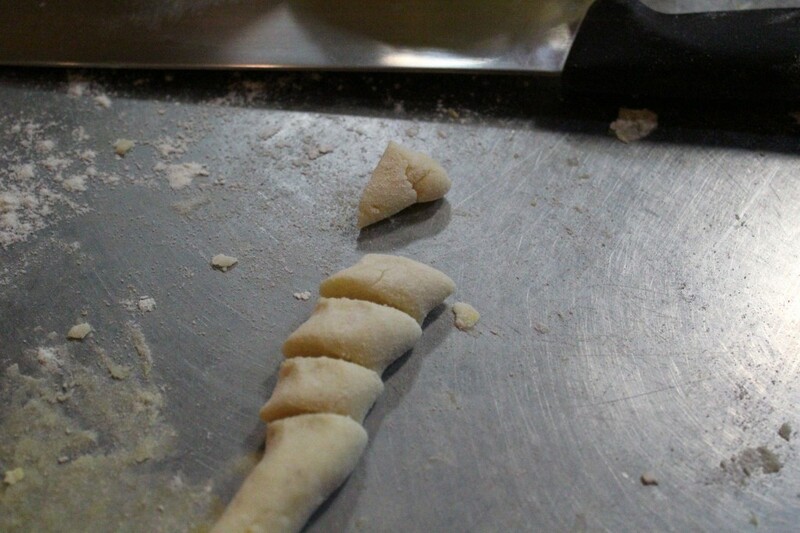 Make lines on the gnocchi by using a fork or a grater. 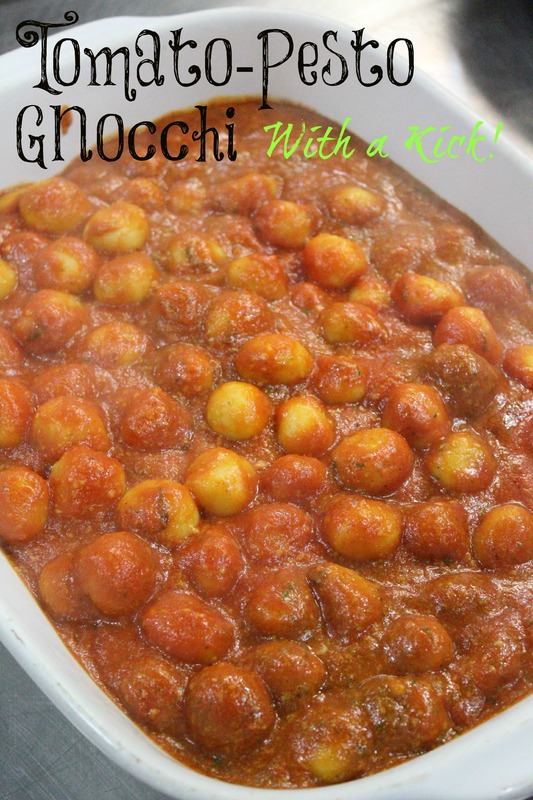 Once the gnocchi are ready, cook them quickly in salted boiling water (save) and once they float to the top, remove them from the water and allow them to cool; cover with oil. 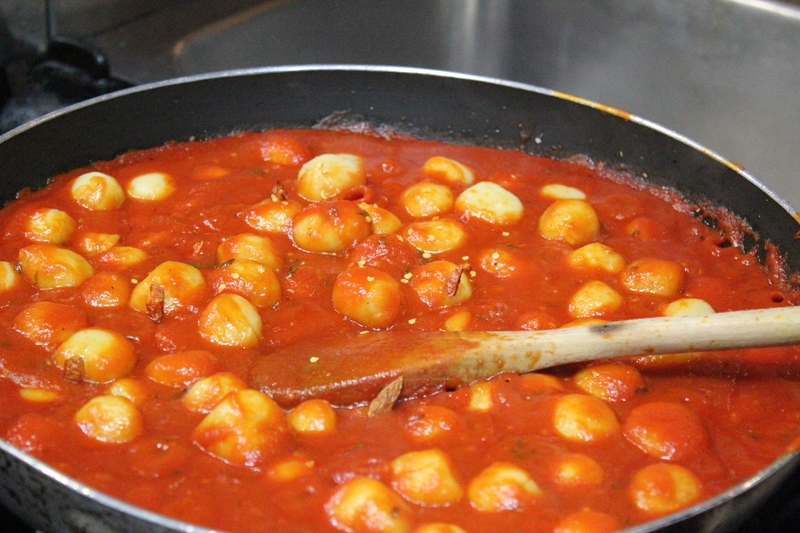 Once it is time to serve the gnocchi: drop them in the boiling water again and dress with the sauce. *Blanch the tomatoes in boiling water for 1 minute, and then put them in cold water in order to stop the cooking. Peel them, cut in wedges, remove the seeds and puree. 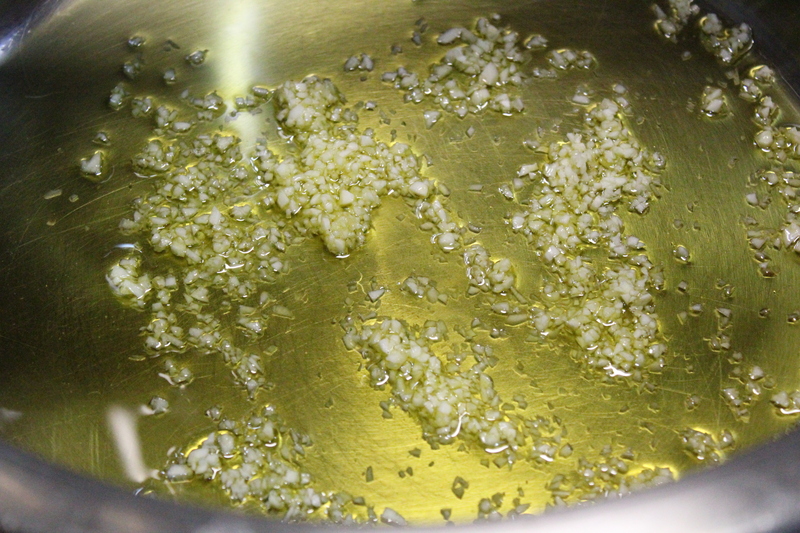 In a sauce-pan, sauté the garlic cloves in the olive oil until golden. 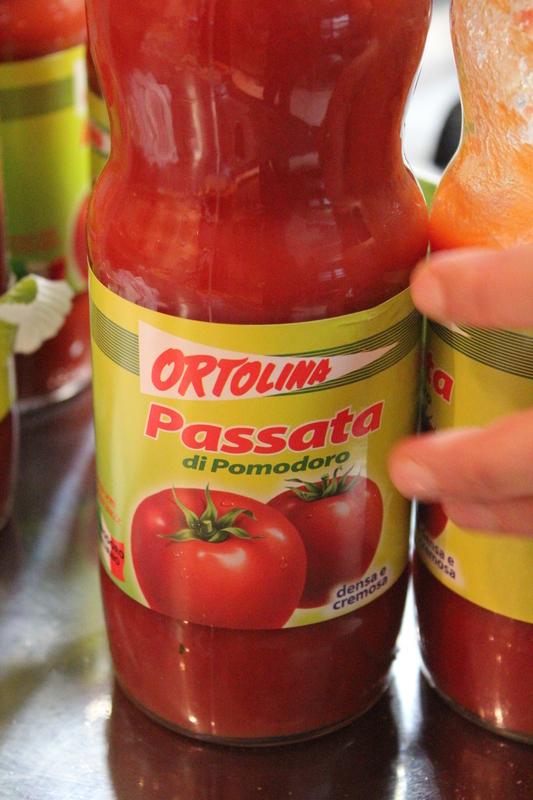 Add the pureed tomatoes and salt and cook for ten minutes, depending on variety and ripeness. Add the basil leaves at the end of the cooking, off from the heat. 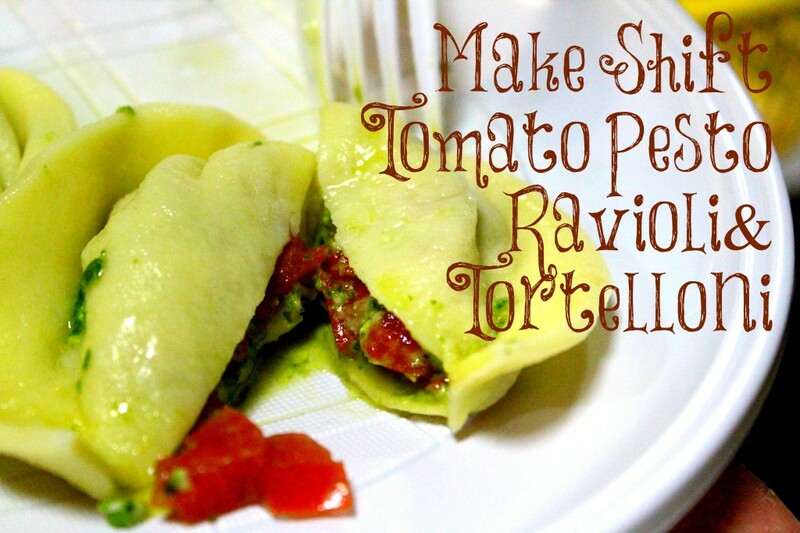 For an extra yummy sauce, stir in Parmesan cheese, pesto sauce (available in jars), and red pepper flakes (for a kick!). 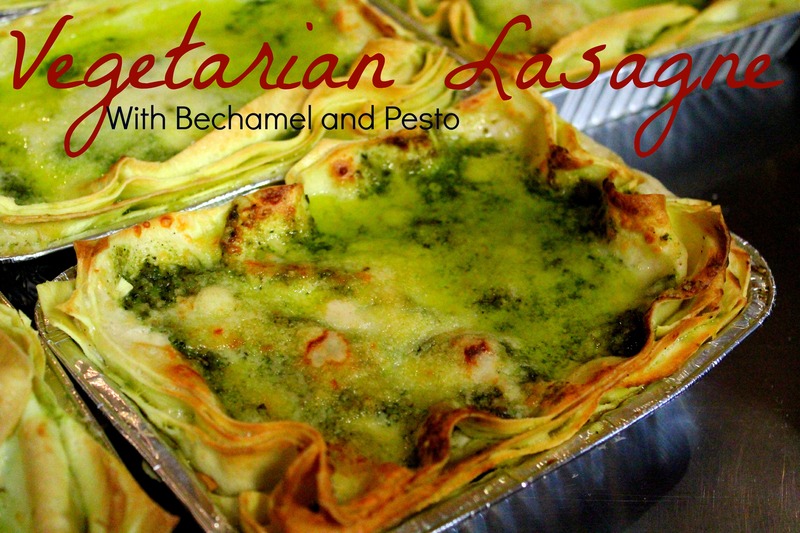 Vegetable Lasagna was next, which we would make with bechamel and pesto sauce. 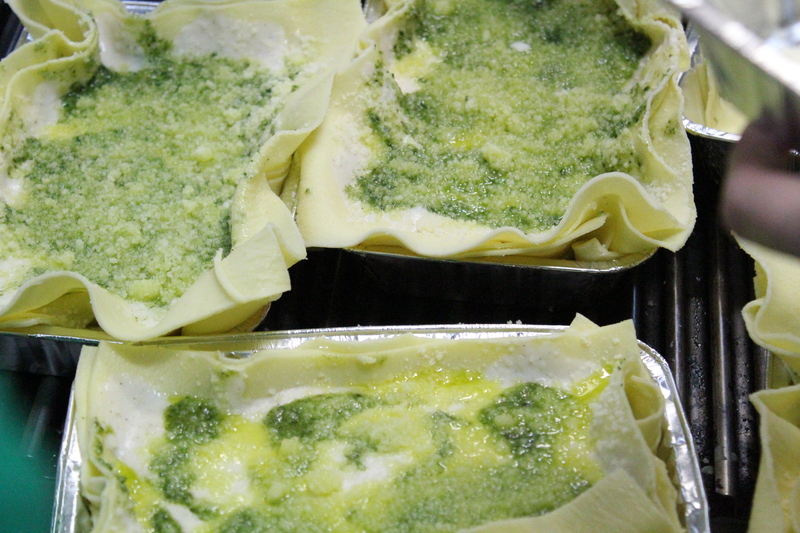 First, the pasta was prepared with semolina flour and egg. 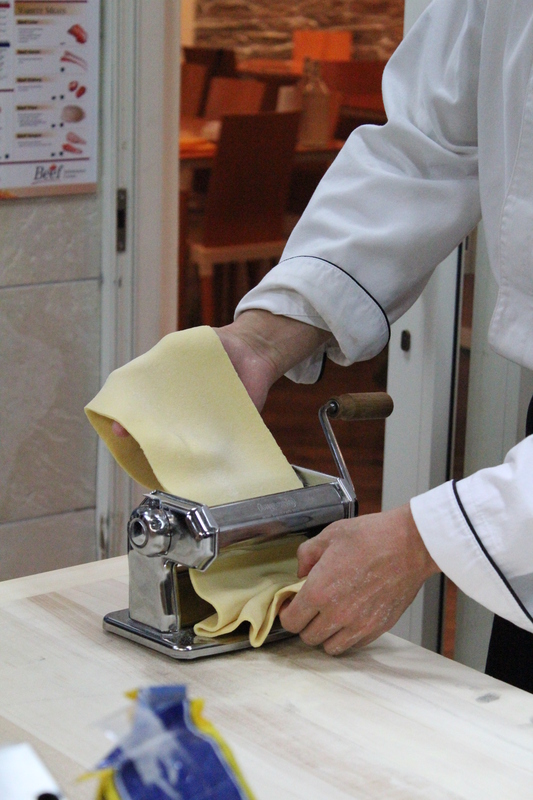 Next, it was rolled out on a pasta machine, starting from stage 6 and working down to stage 1, so it was thin and lasagna noodle-esce. 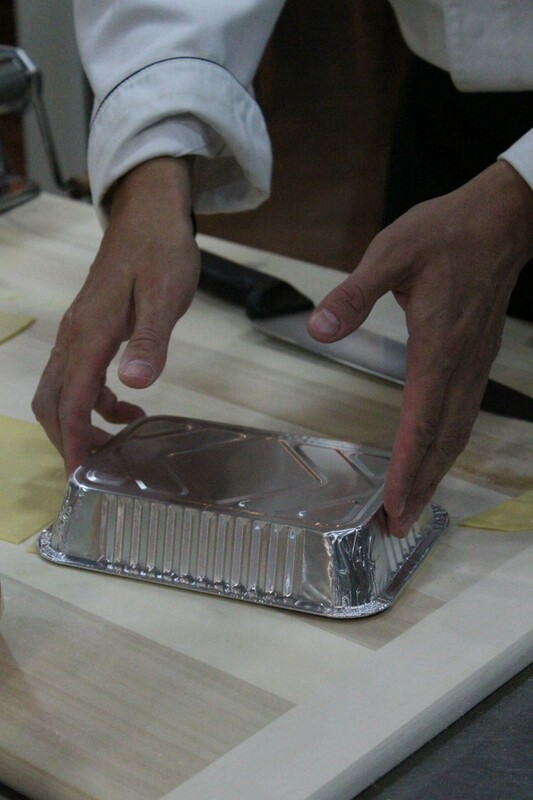 Next, we used a simple pan to cut out the lasagna noodles. No crazy equipment here, just thriftiness. 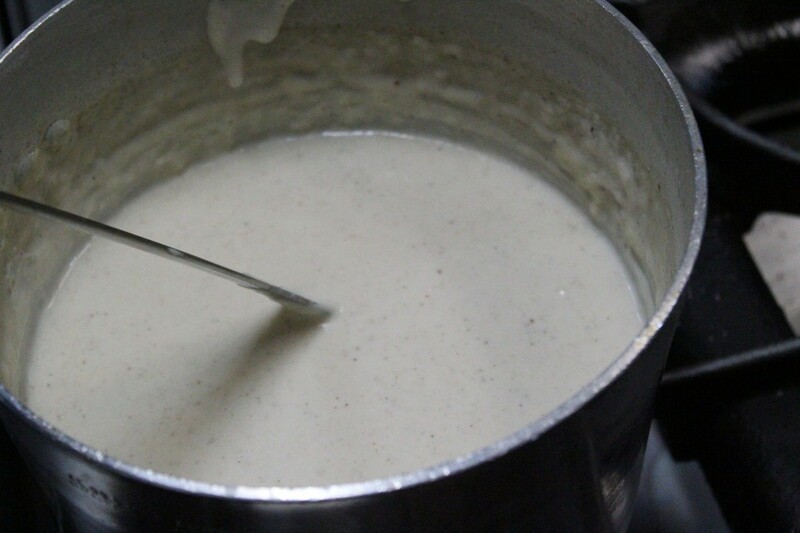 Bechamel sauce was made by combining butter, flour, milk, nutmeg, and some loving. 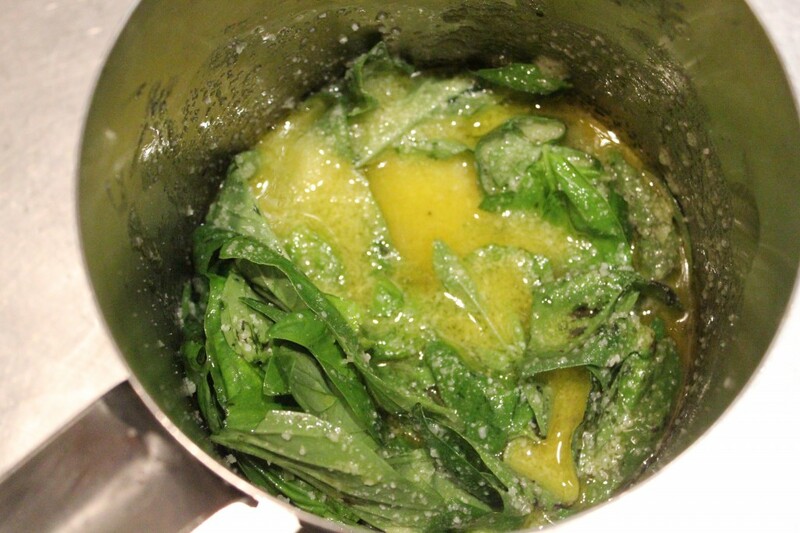 We also made homemade pesto sauce (with the best olive oil that I’ve ever tasted in my life) by combining pine nuts Parmesan cheese, fresh basil, salt, and black pepper. 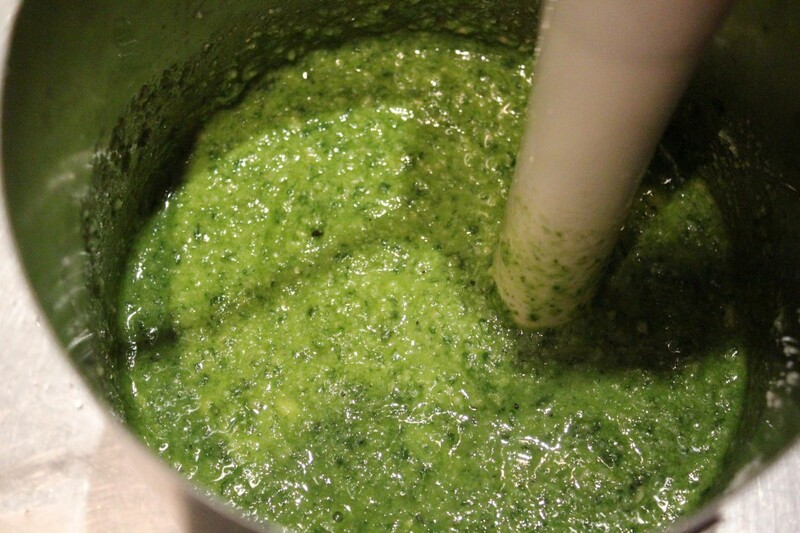 And we used a hand blender to combine all of the pesto-y goodness together. And then it looked like that. 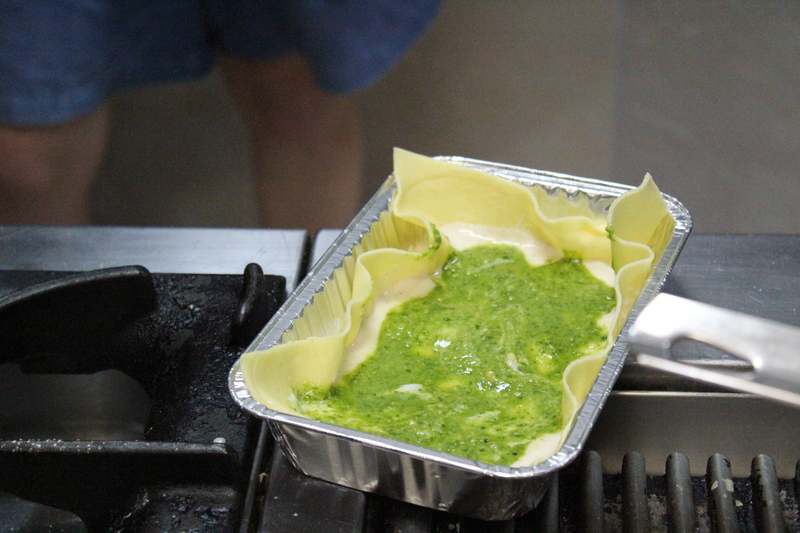 We also pre-cooked the lasagna noodles. 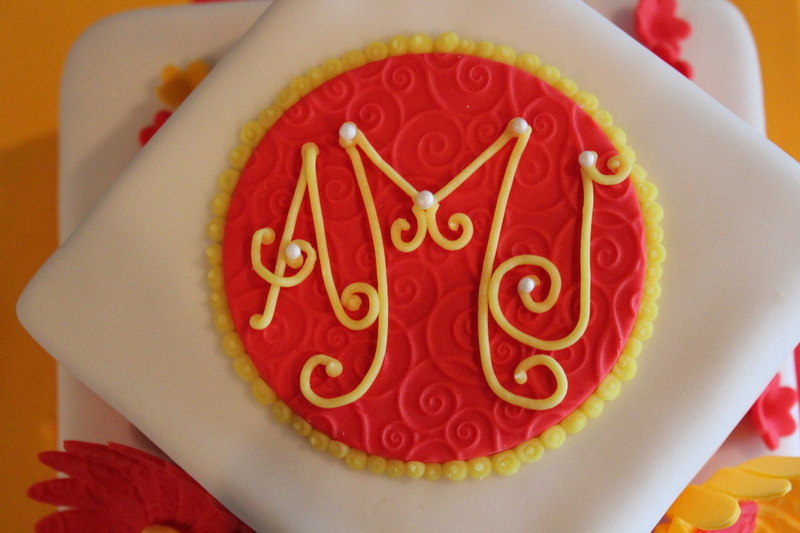 (Which the chef said wasn’t particularly necessary, but he preferred it with such a short amount of time to bake). So, to make the mini lasagnas, we first lathered a layer of Bechamel and pesto sauce into the aluminum pan. Next, the cooked pasta was layered on top. And layered again and again until you just can’t go anymore. 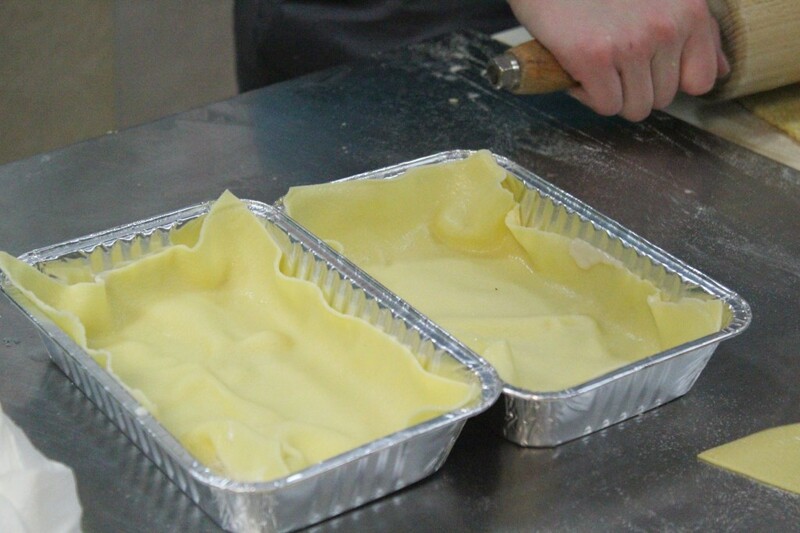 Then you bake it and it looks like this (above). Prepare the basil: Rinse and pat dry the basil leaves. 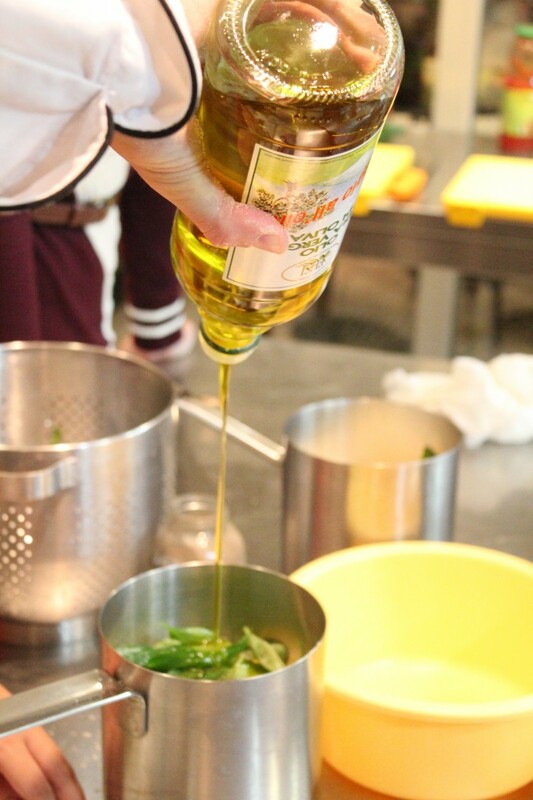 Put in a blender the Parmesan and Pecorino Romano cheese, garlic, pine nuts, and the olive oil and mix until a creamy consistency. Add the basil leaves and salt to the taste. Mix by pulsing in order to avoid heating the basil. 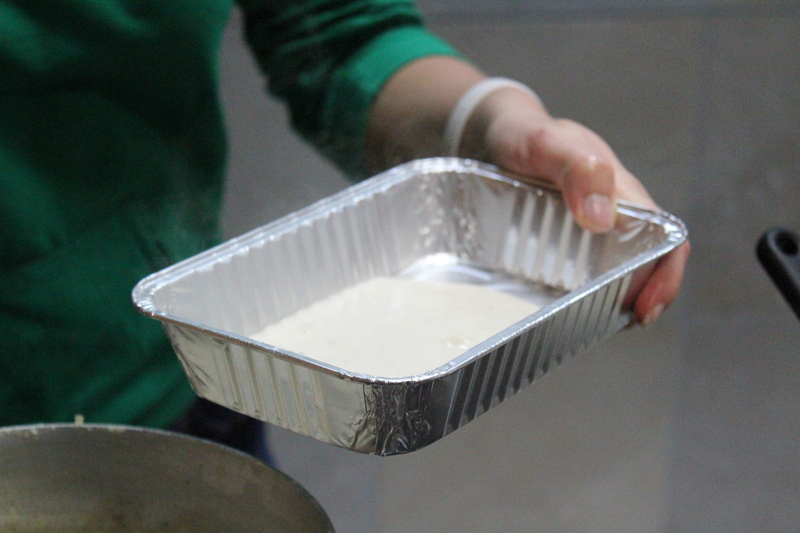 Prepare the béchamel sauce: Melt the butter in a pan, add the flour and mix. Add the milk, previously heated, and stir. When it starts to boil, cook for 2 additional minutes. Add salt, pepper, and nutmeg. Prepare the pasta: On a flat surface, prepare a “fountain” of flour: then add eggs, salt, and knead the paste for about 10 minutes until the mixture is smooth and elastic. Wrap with a plastic film. Set aside for 30 minutes. 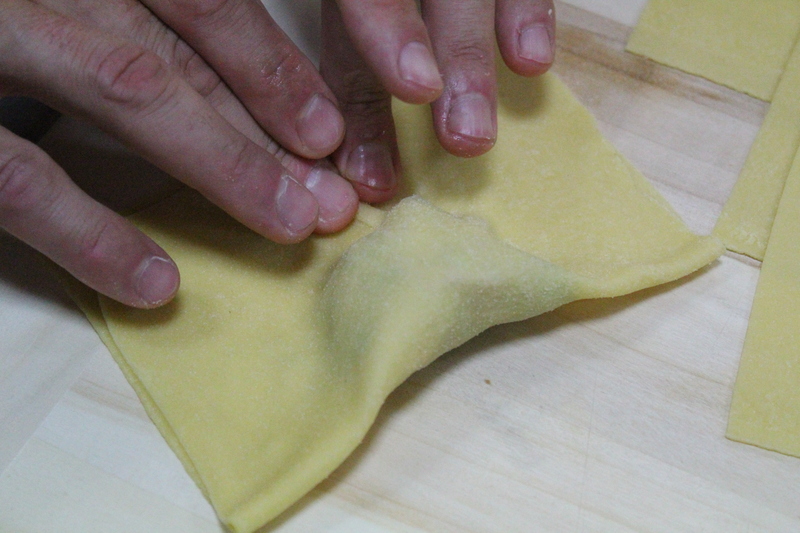 Roll dough out flat and cut “lasagna” rectangles about 3×4 inches. 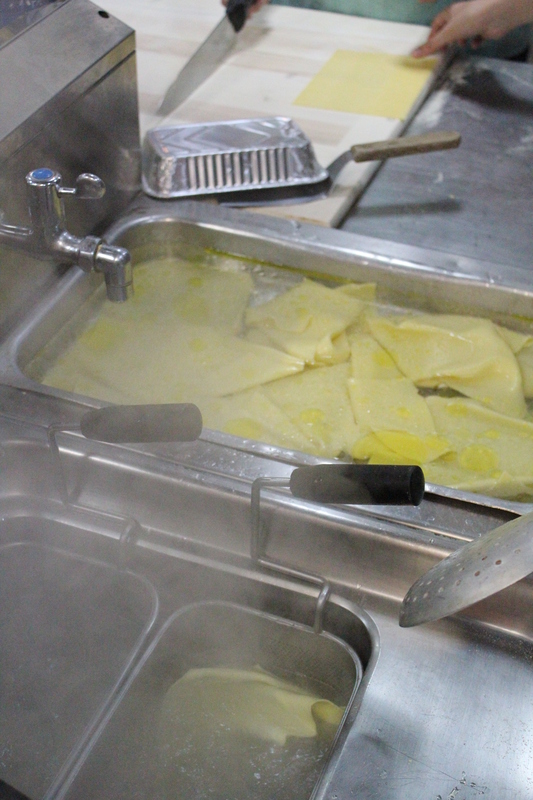 Cook the lasagna (about 3 minutes) in salted boiling water and carefully drain, without breaking them. Place them on a cotton cloth to keep from sticking together. 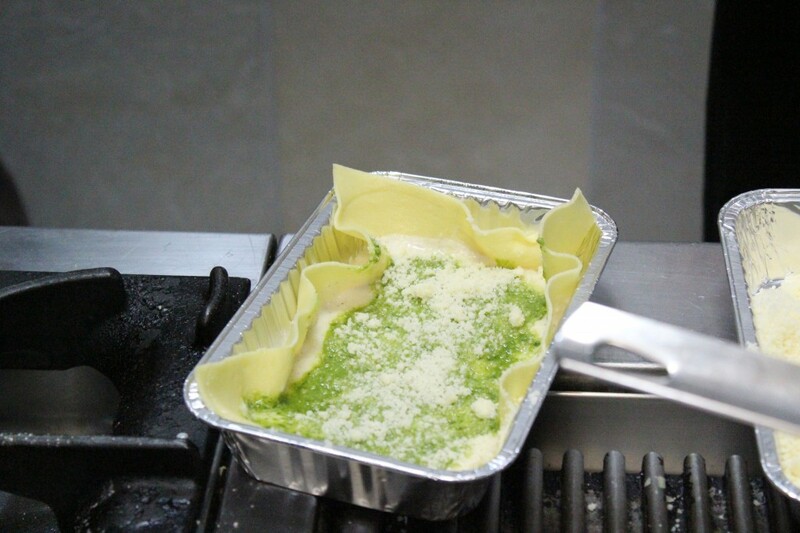 In an oven proof dish, layer the lasagna with pesto sauce, béchamel sauce, and grated Parmesan cheese. Repeat the layers (about 4). Bake in a pre-heated oven at 350*F for 30 minutes. So I did…I died a second time right then and there. Fortunately, I was able to be revived by gelato from Gelateria De Neri. They now have fall flavors. 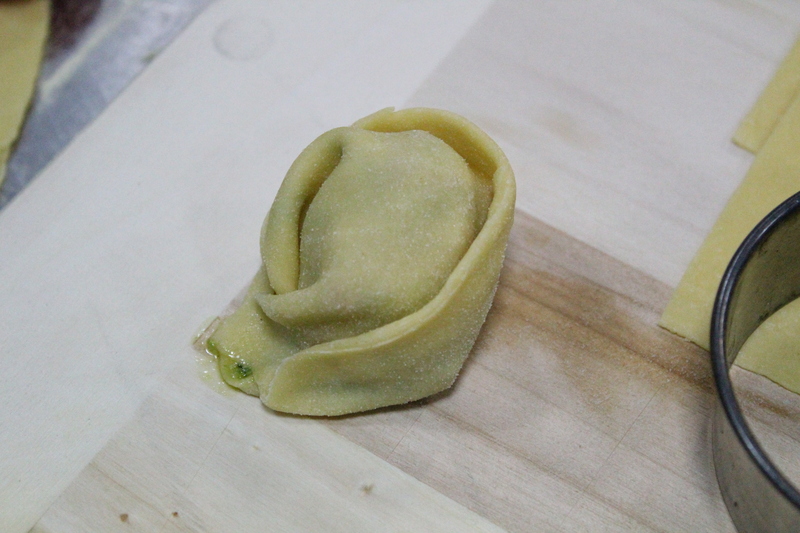 So, with the leftover dough, chef showed us how to make a quick ravioli or tortelloni. Start with a mixture (this is just tomato, pesto, and Parmesan). Make sure all of the air is pushed out. 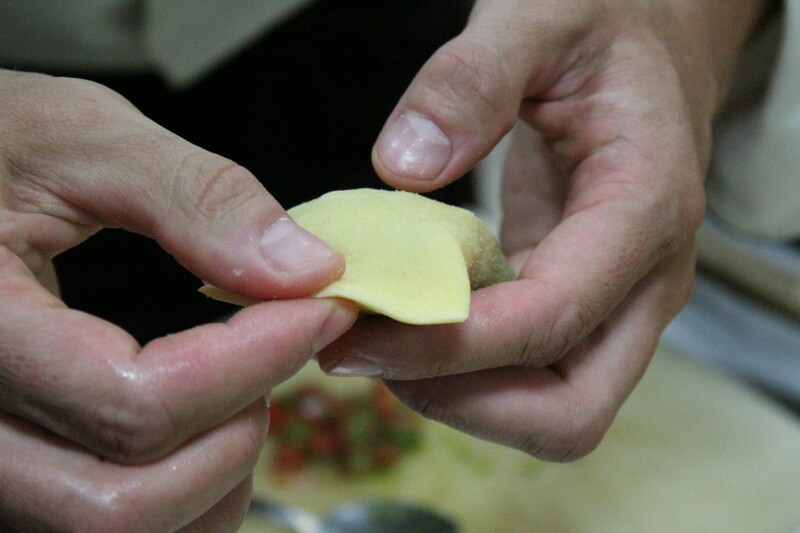 And twist up to make tortelloni or keep un-twisted for ravioli. And, my friends, if Jared can do it…so can you. Hehe..just kidding. 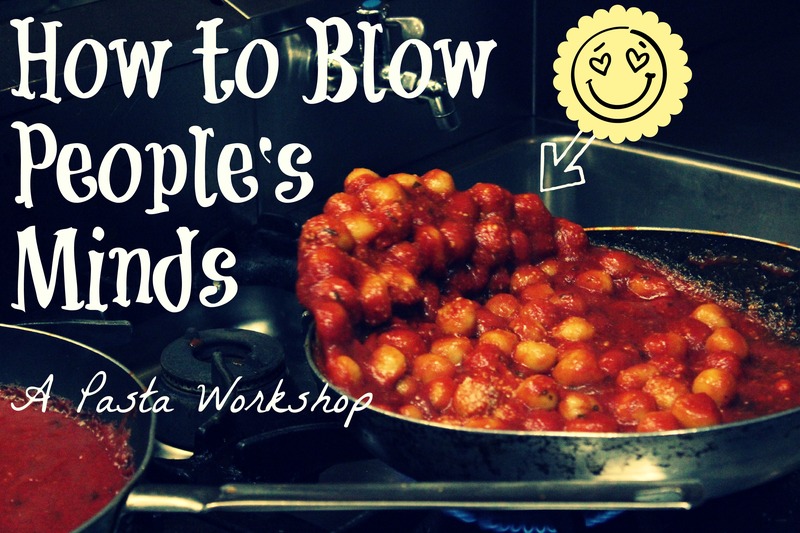 YOU can blow people’s minds without really trying. Or, you can buy refrigerated gnocchi and prego sauce. But I WILL judge you if you don’t go to this Facebook page and “like” it. Due to the high traffic volume on The Miss Cupcake’s blog, Jared feels that his is being neglected. He feels that is is hard to compete with fantastically thought out words and pictures and so sometimes he resorts to stealing these things from me. Let’s help him feel like his words matter, because…well…everyone’s words matter. If you care to contribute to this cause, you will be helping Jared’s self-esteem. Do it for the good of America.